PJO brokerage of Arizona helps their customers obtain the best insurance rates available, primarily by sending the policy out for quotes from all the major carriers. We can also advise our customer on ways to keep their risk to a minimum, thereby reducing their risk and keeping insurance premiums low. Arizona insures businesses via private insurance policies, obtained through brokers. There is also workman’s compensation insurance, which is required for any business with employees. This is generally provided through SCF Arizona or a handful of other carriers, and cover injuries which occur as a result of performing functions for your job. PJO brokerage provides many other types of insurance, for every other contingency. Often referred to simply as D&O insurance, directors and officers insurance refers to a business insurance payable to high-ranking individuals of a business and/or to the company itself. The National Association of Corporate Directors further delineates this kind of insurance as a dynamic tool allowing an organization’s leadership to perform their work responsibilities without substantial risk of personal liability. This specialized financial protection plan covers members of the Board of Directors of a company as well as key staff from non-bodily injury suits that may be reported against them for practices executed while directing the organization. A directors and officers insurance plan covers a variety of claims and yields tons of benefits for a workforce. One of these areas is securities fraud. Securities encompass shares, bonds and electronic accounts that depict investor ownership of a firm or a debt liability from a firm. Defrauding investors through intentional distortion, omission or secrecy of a firm’s financial data or records or insider trading comprises of securities fraud. 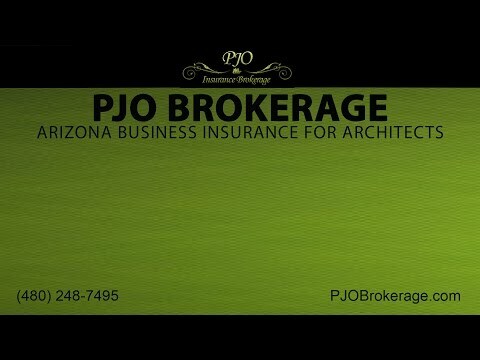 When you are looking for Arizona Business Insurance, you need look no farther than PJO brokerage. There are many types of risk new and experienced business owners may not be familiar with, and we can help you to identify and fortify against any catastrophe. Arizona business insurance is a must have for every type of business whether small, medium or large. Paying for insurance premiums might increase general expenses of a company but when the unexpected happens and big funds are required to cover for claims, one would surely feel that the payment is worth every penny. Prevention is still the best cure and getting insurance for your business is the best way to prevent your company from getting financially drained in the future for untoward incidents that you never thought would happen. We have professional liability insurance, for Architects, Engineers, web designers and other professionals. We have landlord insurance for persons incurring risk as a result of operating a property with space for lease or rent. We have products and policies for insuring any type of commercial or industrial venture, and are able to talk details with the best in the business. We know our products, and we love to talk about options with our customers. Contact our chief broker, Patrick O’neil, to schedule a consultation or initiate a quote.